There has been pressure on the Centers for Medicare & Medicaid Services (CMS) to address telehealth and mHealth reimbursement for years. The fruits of that labor by policymakers, healthcare providers, telehealth networks and information technology professionals are continuing to materialize with new reimbursement for remote patient monitoring and virtual visits. In a recent article, Eric Wicklund, a longtime reimbursement proponent and editor at mHealthIntelligence, presents survey data that finds providers aren’t paying attention. This includes that out of "280 health systems, two-thirds of those surveyed don’t know about CMS’ expanded telemedicine reimbursement opportunities." This lack of awareness is a missed opportunity because consumers, especially the young and those with long-term care needs, are looking for more convenience and less costly treatment options. It is also unfortunate because healthcare leaders are struggling with access and the need to improve revenue and reduce the cost of healthcare provided. What we may be observing with telehealth and mobile health is similar to the experience with expansion of electronic health records starting back in the 2000s. At the time, providers needed the motivation to reallocate resources and invest in electronic health records to facilitate health information exchange. The big push came with federal incentives via HITECH. Today, electronic health records are simply a cost of doing business for most healthcare providers. The new streams of revenue from CMS should be viewed as trigger points for recognizing the opportunity since long-term leaders understand that where CMS goes, private payers usually follow. Although, in this case, many private payers were out in front of CMS and reimbursing for telehealth already. Some providers are ready to take advantage of these new revenue streams to support more efficient and effective care processes, while others are likely planning or implementing new programs. These early adopters and their remote monitoring, virtual visit and other telehealth services are attractive to consumers, gaining their attention as they shop for healthcare. It isn’t just those in rural communities who need telehealth services. Consider that it is sometimes harder to get from one side of Los Angeles to the other than it is to drive across Montana — in the snow. Now, consider the elderly and growing population of older adults with functional limitations — physical and cognitive — which make any kind of travel a challenge. And, these individuals don’t always have reliable family caregivers who can provide the transportation needed for a simple physician visit; a brief follow-up or checkup appointment. 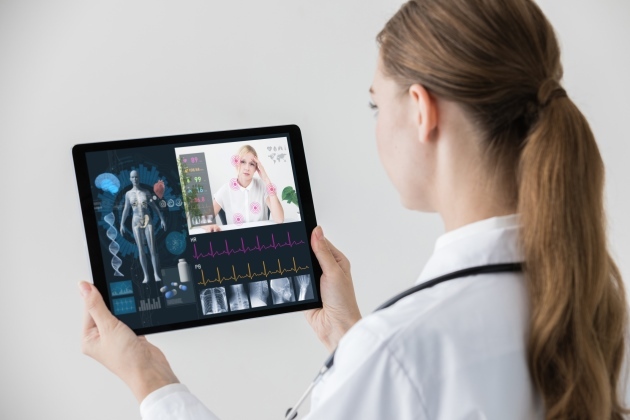 Reimbursement for patient monitoring and virtual visits by CMS in 2019 may be the tipping point for the adoption of telehealth services that can significantly impact the lives of consumers and the bottom line of their healthcare providers.